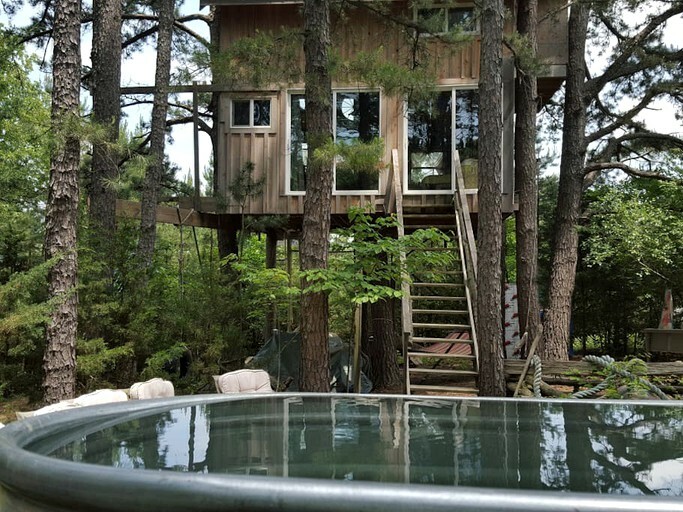 Stay in a magical, tranquil enchanted treehouse rental in the pines away from technology and stress. Invite friends and family for a fabulous weekend in the Missouri countryside. All guests love the 70 free range farm animals! 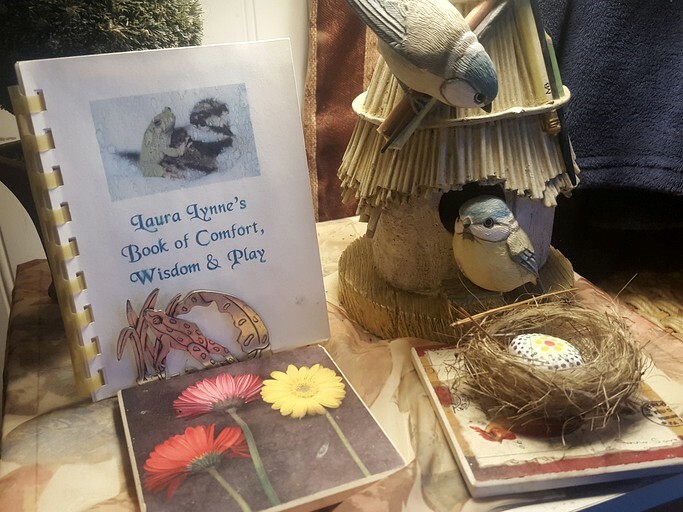 It is a great year-round space. Guests can kickback in a swinging chair on the first floor, which has a peaceful little living room cooled by an air conditioning unit, a cozy propane fireplace, a queen-size futon, and three chairs. 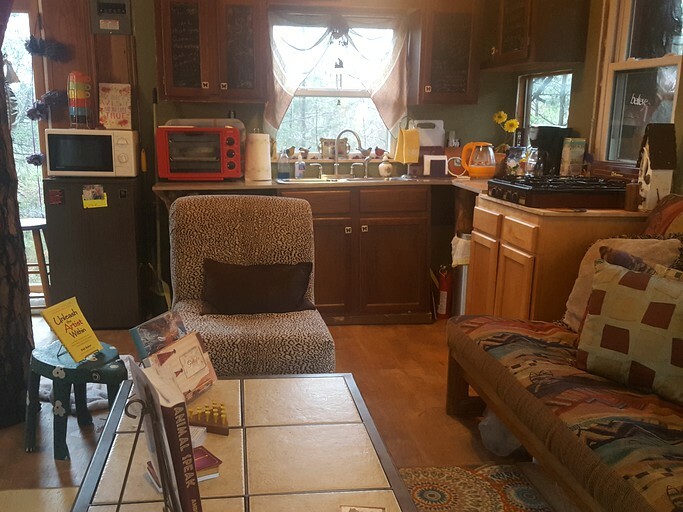 The full kitchenette is a convenience for guests equipped with a refrigerator, a coffee maker, a hot water pot, a toaster oven, a microwave, dishes, soap, a cutting board, basic pots, crock pot and pans, utensils, spices, and paper goods. Simple meals may be prepared on the propane stove with four burners. 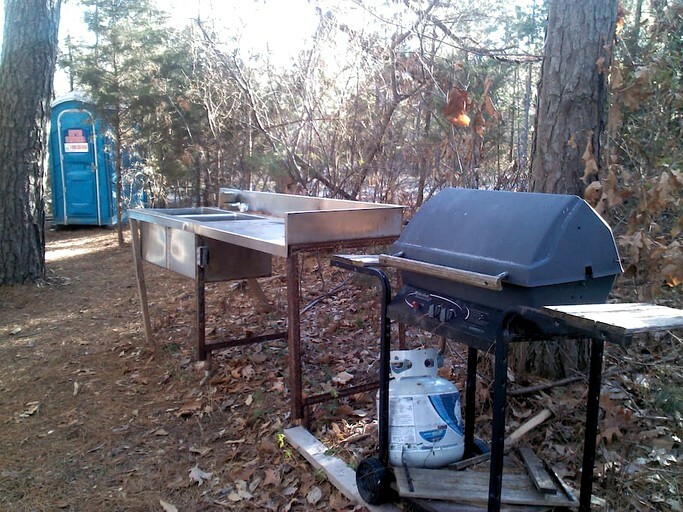 Or guests can use the gas or charcoal grill below and roasting forks for the campfire. 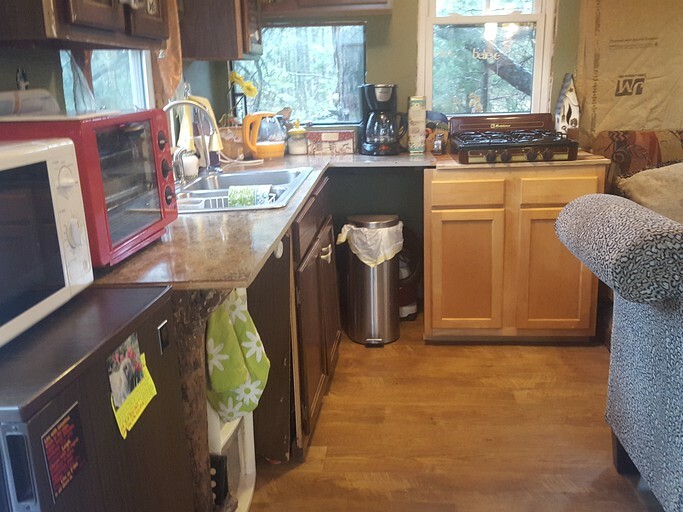 The kitchen has cold running water in the summer. Host provides a five-gallon water dispenser with well water in the winter and the space is warmed by a propane fireplace. The dining area seats four with books, games and musical instruments. 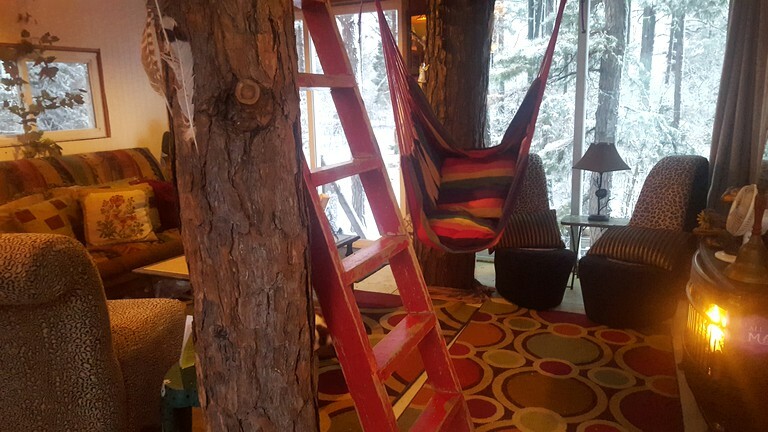 Guests will climb a 10-foot ladder to find a cozy cabin loft that is a popular favorite. 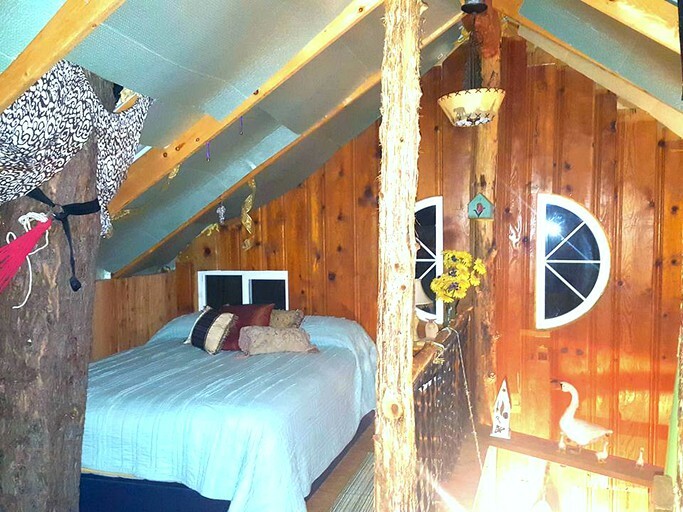 The loft has a super reader, writer, sleeper, or lover's nook with a twin bed made from pines of the land. Guests can look up through 2 skylights to see the huge pines. There is a queen bed, three twin beds and one air mattress when needed. 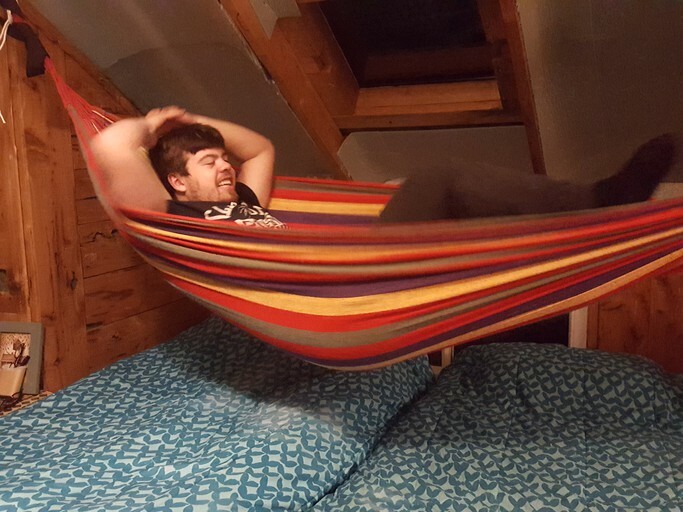 There is also a big bean bag - which can be slept in by a child. 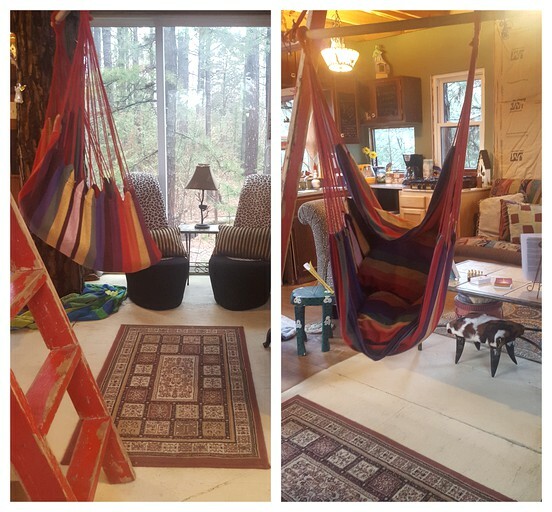 There are two hammocks that swing in the trees, little side tables, lamps, and interesting books. An air conditioning window unit on both floors, a dormer window, fans, lighting, and outlets are available. Small railings guard the loft. 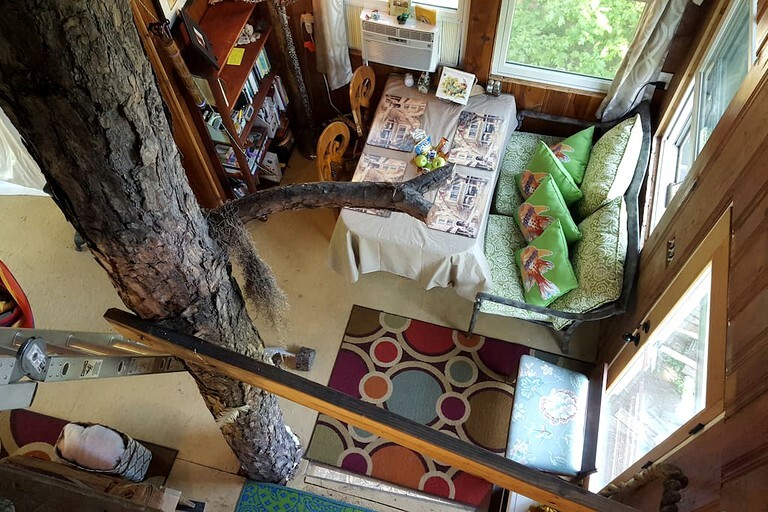 This spacious, insulated space is 16 feet by 18 feet, with a unique sleeping loft --- 144 square feet. 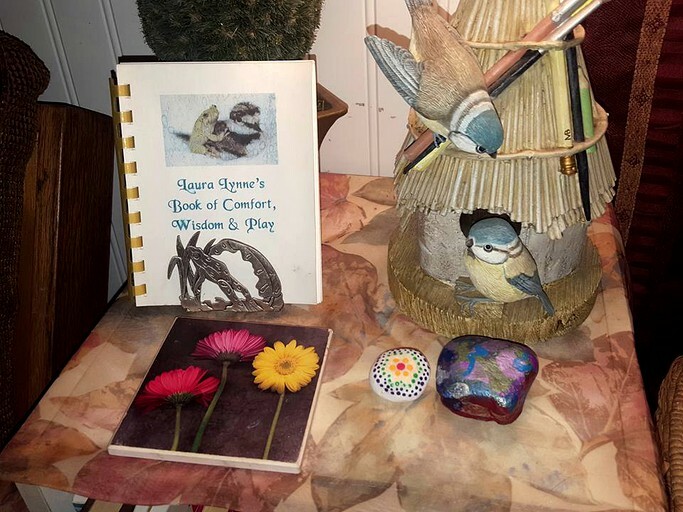 It has 25 ways to connect with nature by windows, doors, and skylights. In the summer, guests can use the air conditioning or open the windows, and in the winter, the propane fireplace and space heaters make it cozy. The space is best designed for adults or mindful children because of the decorations, moderately steep stairs, ladders that require caution, and the farm animals. 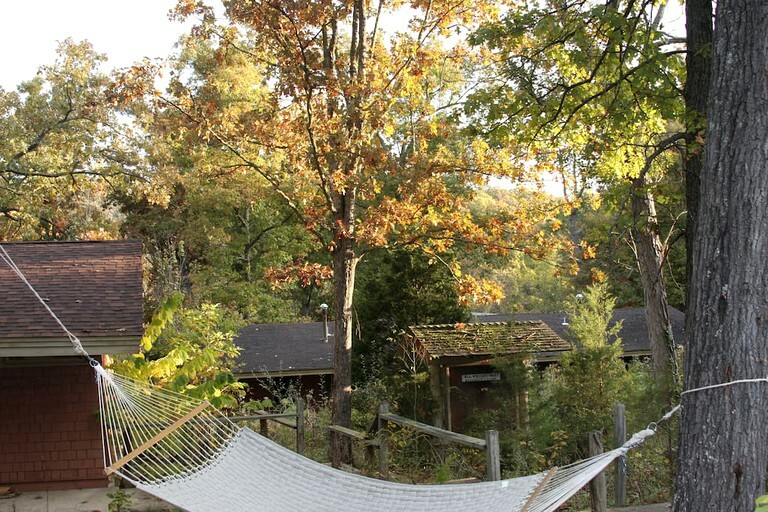 Hammocks and swings are found throughout this property, and two pavilions, a lake, and a creek are communal facilities at this glamping site in Missouri. Events, such as potlucks and drum circles, are sometimes held here. 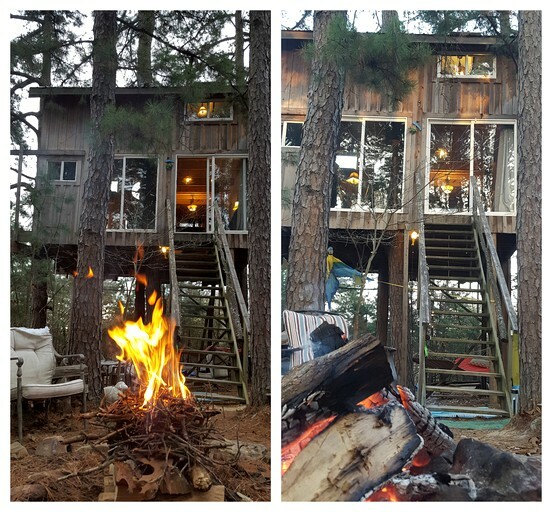 A charcoal grill below the tree house has tools and campfire hot dog roasting sticks. There is a private fire pit area where guests may bring firewood or purchase some cut from the land for $25 a night. Sometimes the hosts are available to light the campfire or fire under the tree house's outdoor tin hot tub for $20. Campfire forks are provided. Guests will also find two old-time tin cattle tank tubs. 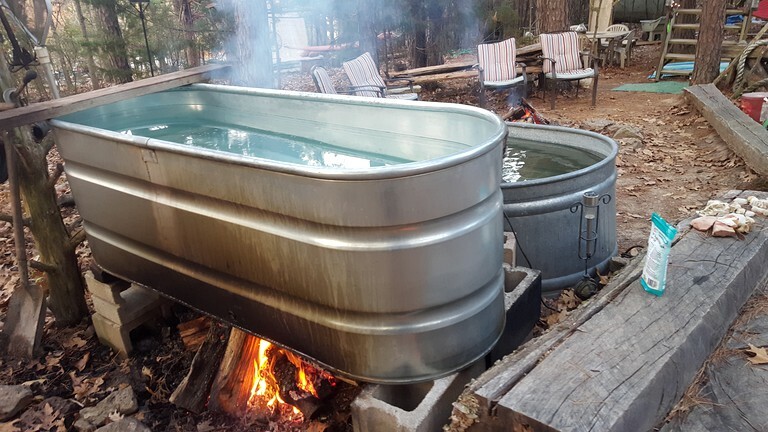 One can be used to cool off, and the other can have a fire underneath to make it into a hot tub for stargazing on a moonlit night. 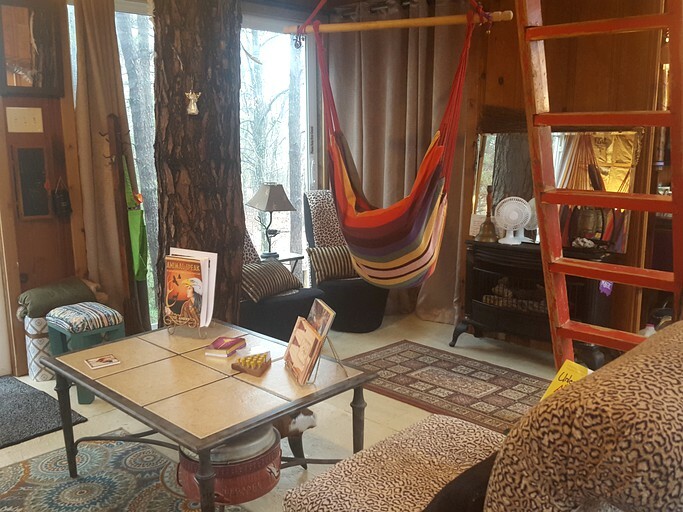 The host of this Glamping Hub site is a Life Coach that offers sessions to individuals and couples who stay in this enchanted tree house. At a cost of $75 an hour. 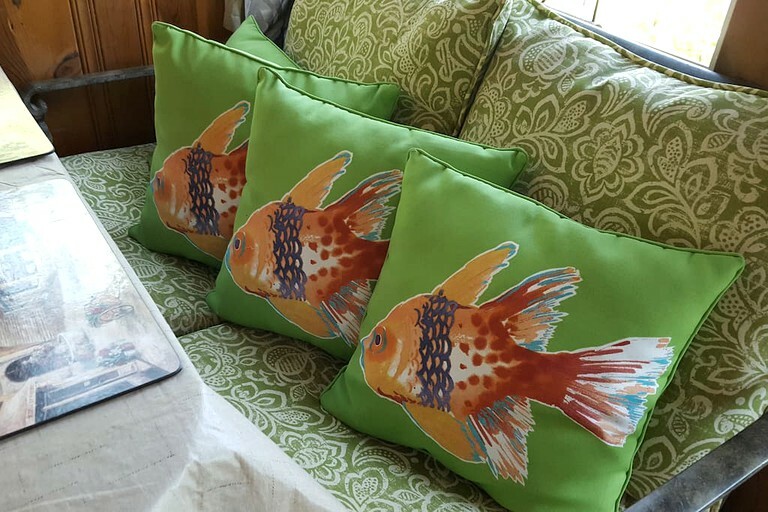 The host will help guests reconnect, and work through the anxiety when disconnection occurs. Guests will discover new tools for communication and appreciating one another and valuable tips to face challenges in their lives. Guests may choose to have a delicious country breakfast delivered to the tree house for $15 per person. It has farm fresh eggs and all the fixings. Guests can enjoy an educational, animal, and nature Adventure Tour for $60 per group. As guests open the gates to this property, they will enter the heart and soul of the manifestation of the host's hopes and dreams. 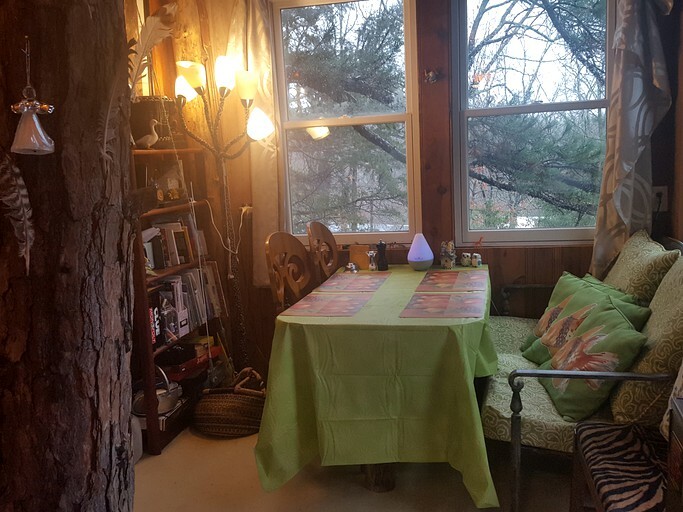 This property is a private Educational Eco-Center and Sacred Sanctuary in Mother Nature. This amazing, 70-acre property is a beautiful, hour-long drive from St. Louis, Missouri. 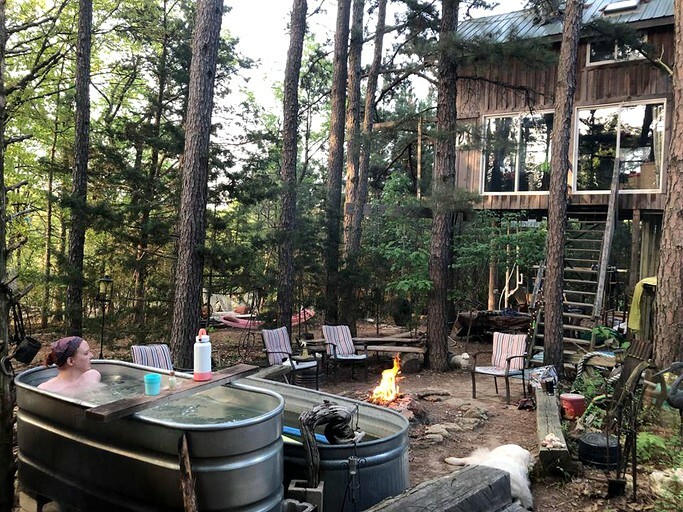 It is largely woodlands—with hiking trails, a three-acre lake with fishing, a creek, spring and two pavilions make the property equipped for relaxation and fun. 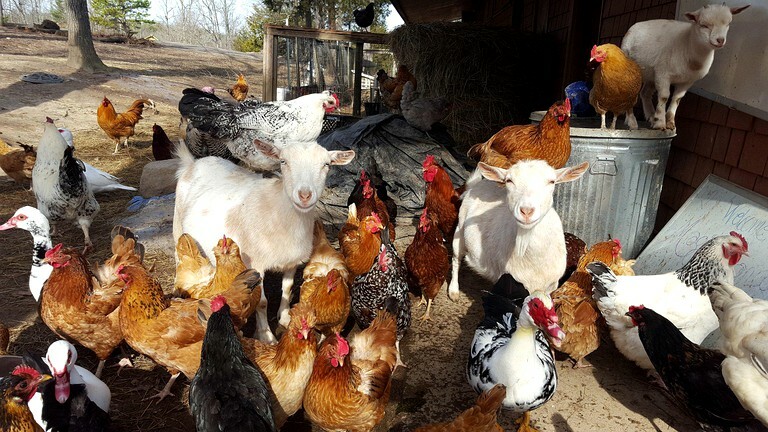 A host of free-range farm animals entertain guests, like over 50 chickens, cute goats, five adorable cuddly dogs, ducks, and turkeys. Ever heard of chicken meditation? They are extremely entertaining. 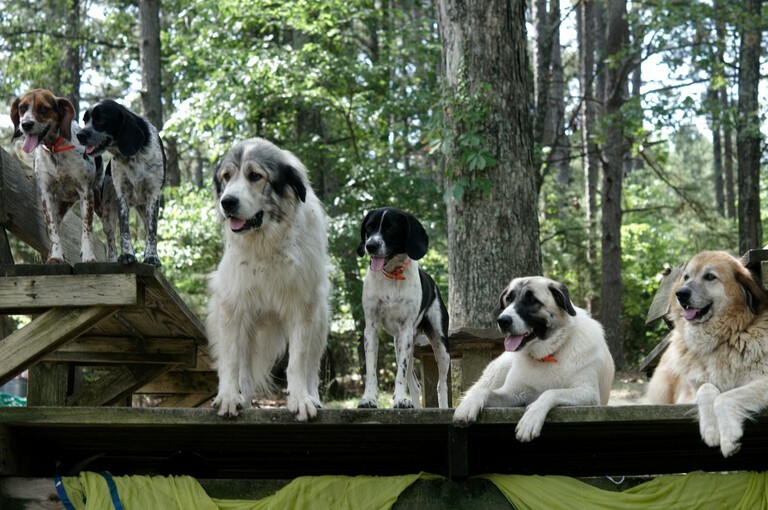 Sunshine, Daphne, Velvet, Skeeter, and Barnaby will be guests' new favorite dogs. There are numerous activities that guests can enjoy during their glamping trip at this site. One of the top aspects is enjoying and observing the 70 animals who are all free range on the farm. 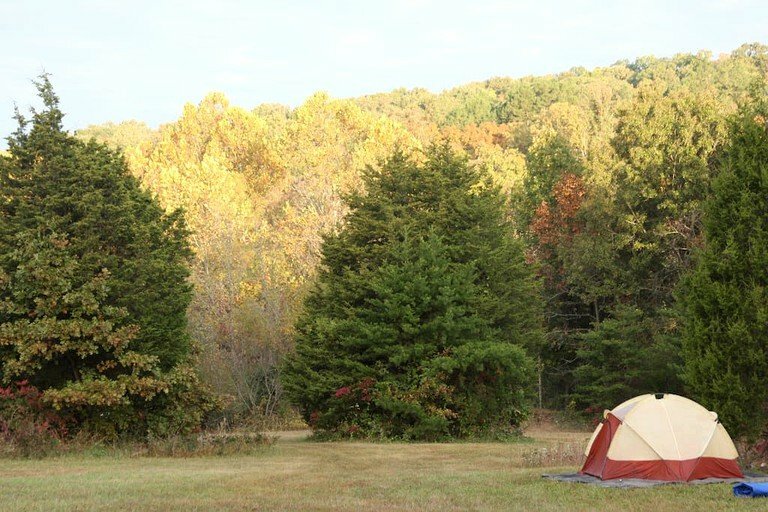 Although many choose to simply relax in the rejuvenating environment, they can also visit Meramec State Park, which is about 45 minutes away and has hiking, caving, canoeing, kayaking, and fishing opportunities. Otherwise, they can remain on-site and enjoy the fresh air and quiet atmosphere while they restore their souls. Guests are encouraged to bring their fishing pole for the 3-acre lake, stroll through the woods on one of the site's hiking trails, or sit by the creek or spring to renew their spirit. While the accommodations sleep eight guests, pricing is based on a two-person occupancy. Each additional guest over age two is $20 per person. Guests under two stay for free. There is a one-time cleaning fee of $30. 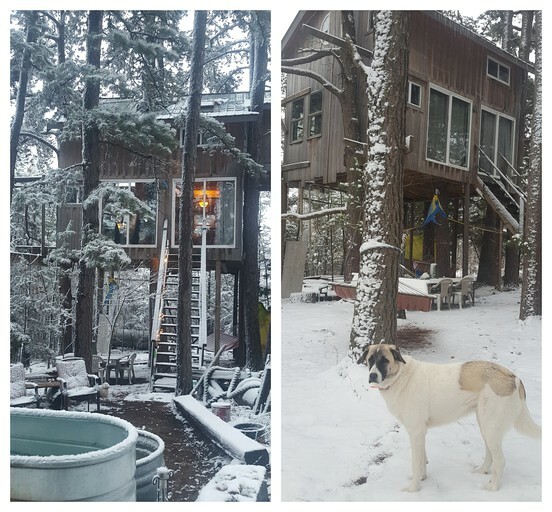 The host has five sweet and loving dogs and the neighbor's cuddly Great Pyrenees that protect their 70 fun and friendly free-range farm animals, so guests must leave all pets at home. Please be aware that the dogs protect the animals at night and there may be barking and the roosters wake early, it is recommended that guests bring earplugs. 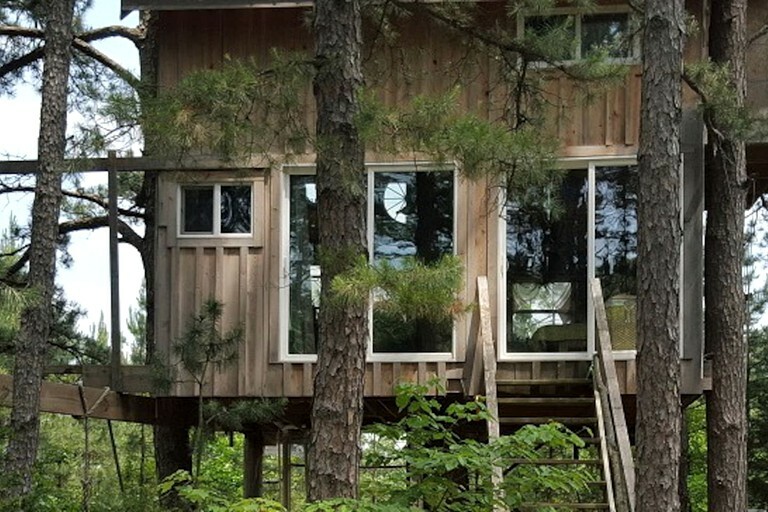 Guests should ask themselves the following questions before booking: Can they climb moderately steep steps to the tree house? Are they good at scaling a 10-foot ladder to the loft? Does the adventure of having the Johnny on the Spot restroom below the tree house work for them? Are they good without a shower for a few days? 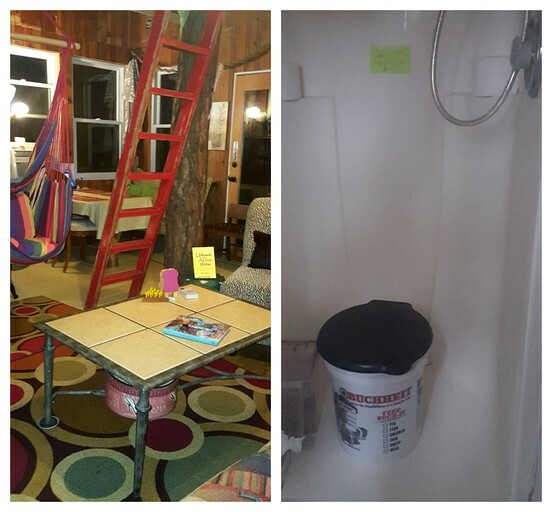 There is no shower in the tree house but available in the Main House for $5 per person. 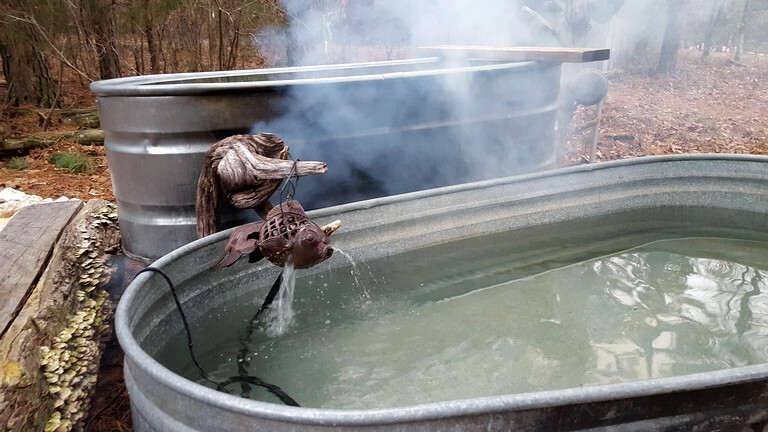 Option of building a fire in an old-time tin tub for a soak under the starts. Are they fine with there being bugs at some times during the year? The host does their best to keep them outside. Guests must have a flashlight and be aware that they are in 70 acres of woods and might come in contact with anything one would find in the woods in Missouri! Parts of the tree house are still under construction like the siding, some outlets, and the future bathroom. The host asks that guests be mindful of their private home called the Lodge, by ringing the doorbell or knocking. They appreciate that guests honor spaces around campsites and other rental locations. The host is a Life Coach so she may be in session with clients or guests so it is important to ring the doorbell or knock. She may be available for Life Coaching or Intuitive Session during guests' stay.